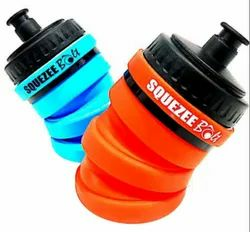 Squeeze Bottles are ideal for storing liquids like soya sauce, ketchup, mustard sauce, cooking oil, etc. They are great for identification purpose. It can be used at homes, bars and restaurants. The nozzle caps ensures that the sauces are covered, protected and kept clean. 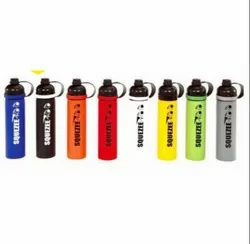 Friendly Silicone Water Bottle Available in 3 fun colors! Recyclable Product 100% BPA Free. 22 Fl. Oz.. It preserves your hot and cold drinks in this sipper. Preserves you drink for longer time you can use this stylish sipper for gym and sports.